When Micheline and her ghost-hunting crew enter the hospital without permission they don't expect serious trouble so they are surprised when the powerful ghost seems to know them and all of them are infected with a soulchain, a ghost-caused infection that will kill them in just a few days if they don't stop it. Micheline is the daughter of the head of the Helsing Corps and her father is a no-nonsense, cold man. With nothing much else to lose, Micheline and her crew decide to track the entity through whatever means necessary, not always the safest ones, in order to save their lives. Teens often ask for scary books but middle school fiction is seldom scary enough for true horror lovers. 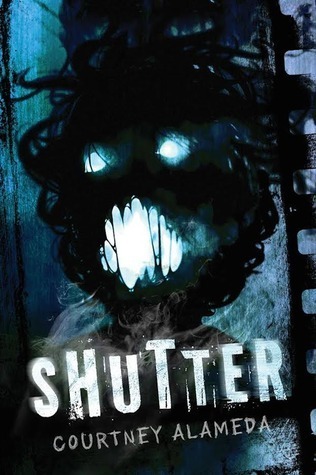 Shutter ought to meet that need. The ghost is vicious and leaves a disgusting trail of gore in its wake. The revelation about just who and what the ghost is and what it wants should leave readers with shivers. I personally found the book too long but I can appreciate it for its dark story.